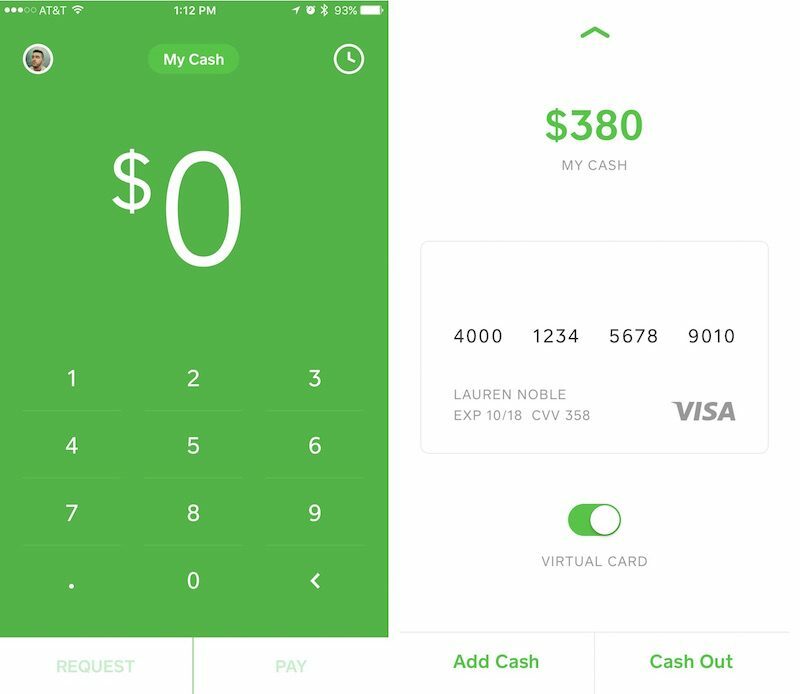 In its 2.13 update yesterday, mobile payments app Square Cash introduced the "Cash Virtual Card" into its iOS app, letting users create a virtual Visa debit card that lets them spend their Square Cash anywhere that accepts Visa online (via Recode). Square Cash users can check out at retailers like Amazon, for example, and simply enter the card number for their virtual card during the check out process. The company is also reportedly working on making the new virtual payments compatible with Apple Pay and Android Pay, "making it possible to use Square Cash funds to tap and pay in stores that accept mobile payments." The obvious question is why someone would choose to use a Square Cash account — either in a store or on a website — instead of their regular debit or credit card. A spokesperson cited push notifications triggered by purchases — something that some services like Apple Pay already employ — as well as easy-to-browse digital receipts as potential incentives. The update brings Square Cash a little closer to PayPal in functionality, but users on Square Cash are relegated to spending money only within the app's account and are unable to draw from funds in their back-up bank accounts. With PayPal, if users over-spend the funds in their account, the app will fall back into the attached bank account to make up for the difference. Square Cash is also changing up how instant deposits work in an attempt to make more money from each transaction on the app. Now, users who receive a payment can withdraw the money to their bank if they're willing to pay a one percent fee for the same-day withdrawal. If not, the money will be deposited in their bank on the next business day for free. The monetization of its withdrawal service is an attempt by the company to catch up to more popular mobile wallet apps. WTF did I just read? I know I’m not as young as some here, but ….. what was all of this gibberish? Virtual visa cards? Square cash? Huh? I think you would be better served by following the links for further information. This is interesting, are the virtual Visa card disposable? If they are, that would be useful anytime you want to use a "less than secure" site to buy something. There's a prominent "cash out" button. I would think that's how you immediately remove all money from one virtual card so that you can get a different virtual card. Make it work with Apple Pay and I'll be all over it. i use square cash daily. Love it! It's so nice since no one carries cash. Square team doing big things. Once officially integrated into iMessages/Siri, it will continue to grow in popularity. There's always someone who's gotta ruin it for the rest of us.